Here at David Boatwright Partnership, we’re often asked to recommend the best car in stock and what they should buy. However, what with different needs and requirements from a vehicle, the answer isn’t necessarily always an easy one. Nonetheless, when it comes to sport or muscle cars, most people considering this option have been thinking about a specific model for years, if not decades. You may have grown up with posters on your wall of American cars such as Mustangs, confirming your dream of one day owning your very own American dream. One of the most popular and well known American car types is without doubt the Mustang, ultimately built for good old-fashioned performance, and though it underwent a few body style changes in the 1960s, the Mustang remains relatively the same now as it was then. Don’t just take our word for it, after all the original Ford Mustang still holds the record for being the fastest selling car of all time. The latest generation of Mustang is shifting fast enough to retain its crown as the world’s best-selling sports coupe for the third year in a row. The swinging sixties might have been a founder and successful year for the Mustang, but that hasn’t stopped around 6,000 UK drivers channelling their American Dream with right-hand drive since 2016. The Mustang represents freedom, excitement and what was great about the world. It won’t be long before the restyled and modern 2018 Mustang will be arriving in the UK. This will surely keep the popularity going and the engines revving for those who enjoy this American beauty. Mustangs are simply the feat of engineering geared to a long line of generations who want to tap in to that child with the poster on their wall way back when. Do you have the desire to experience life to the full? Your Mustang has the power to ensure you can! 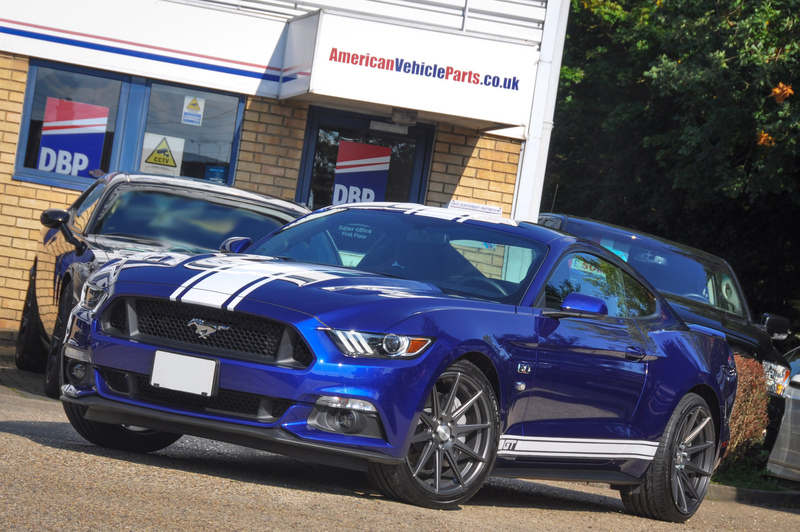 Here at David Boatwright Partnership, we have been importing and supplying new American vehicles such as Mustangs and RAMs in the UK for over 30 years, we’re best placed to give you the advice you need when it comes to your new American motor! We offer a fast, efficient and friendly service to supply all makes and models of new American cars or pickup trucks. These can be delivered to you anywhere in the UK or collected from our offices in Braintree, Essex. We also have an extensive parts department and excellent workshop facilities for all your requirements. UK delivery can be as efficient as two weeks from order on most vehicles, it is between four to six weeks from date of your order – including all IVA preparation and UK registration. So what are you waiting for? 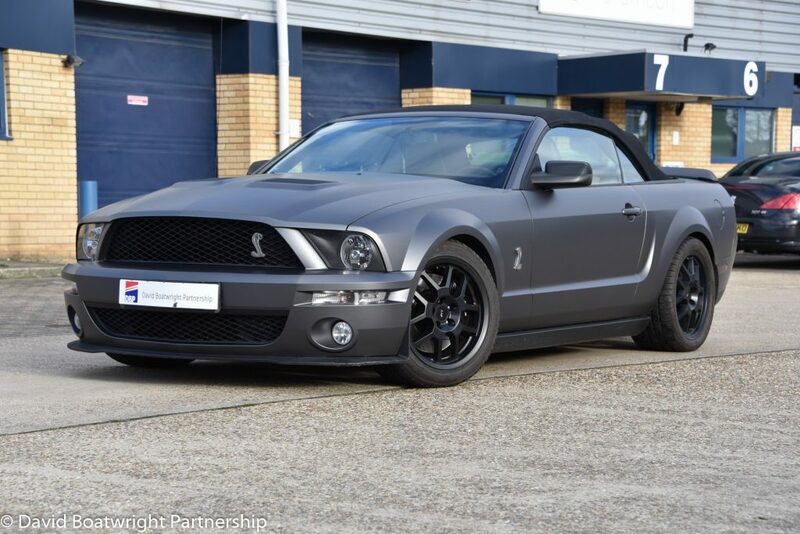 Make the American dream a possibility and call us on 01376 552 399 for a written quotation on the supply of your Mustang or new American vehicle today! We will be pleased to offer advise and make your purchase as easy and as pleasant as possible. You can also reach us via our email address – sales@boatwright.co.uk. If you don’t mind I need a bit of advice? Are right hand drive head lights available from you? There aren’t RH side headlamps but the lamps in the F150 should be adjustable to pass UK regulations.